The celebration of a honeymoon which is a vacation taken by newlyweds shortly after their wedding is common in the modern world. According, to Twaha Mukisa, a ceremonial spokesperson, the period of honeymoon has been celebrated from way back into the times of the African Traditional Society. “It has only changed from couples celebrating it at their home undisturbed to people moving to specific preferred destinations considered exotic or romantic, to enjoy each other’s company,” he explains. 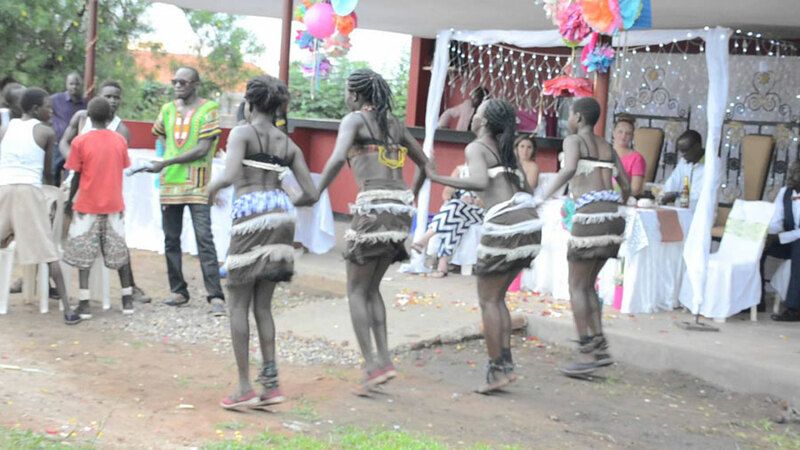 In Uganda, different tribes celebrated the honeymoon in unique ways. We take a look at a few ethnic groups in the various parts of the country and find out how married couples kicked off their new life as husband and wife. According, to Maureen Nakirunda, a ssenga who counsels brides-to-be, in Buganda, the honeymoon period was considered important and referred to as okufumbirirwa which lasted for a week. Maureen explains that the paternal aunt known as ssenga had to prepare the bride at least two weeks or a month before the wedding for the bedroom sessions that were to take place after the wedding. 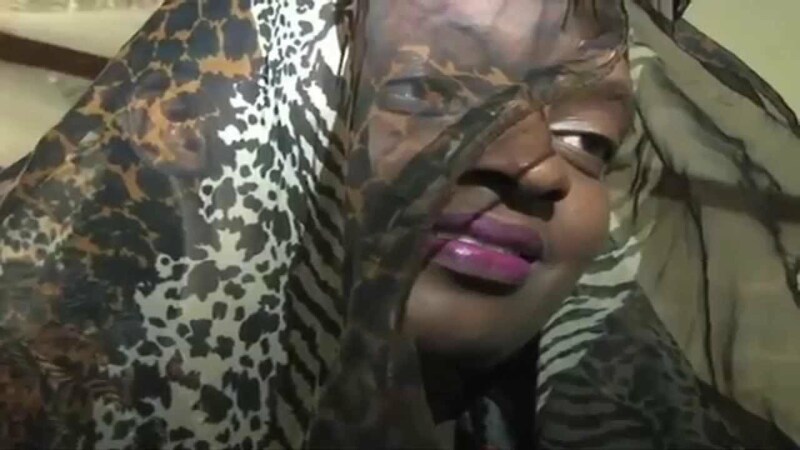 “After the first encounter with her husband, if the bride was found a virgin, the blood spotted bed sheets were taken by the ssenga to her parents as a proof of her virginity,” she reveals. She adds that the family of the groom appreciated them for keeping her intact with a she-goat, which is where the term embuzi meaning virginity originates from. “The bride stayed in the bedroom for that whole week while the husband went on with his work as usual while ensuring he came home early to complete his sexual marital duties referred to as kumaliriza olubimbi,” Nakirunda says. 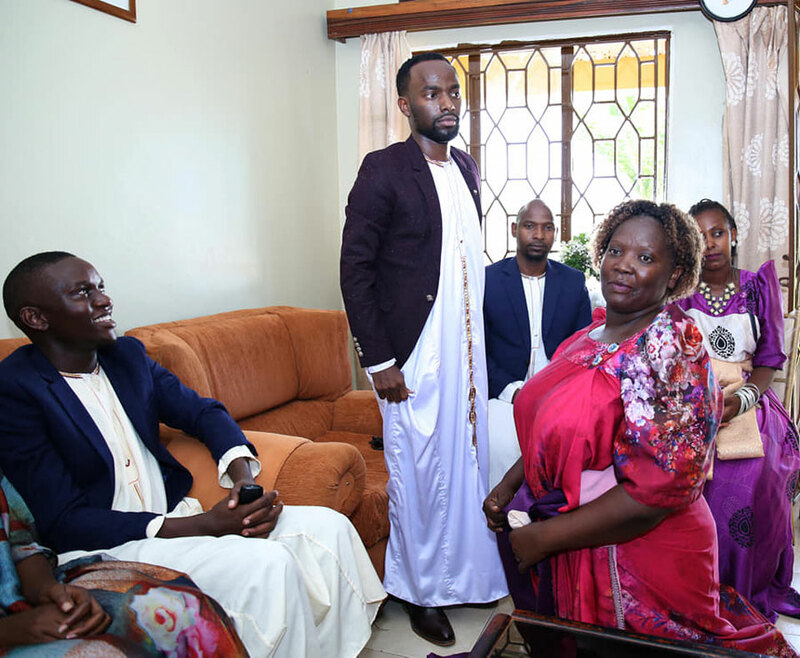 She narrates that the ssenga to the bride was the only relative allowed into the honeymoon suite so that she could take care of her and prepare any meals she yearned for. It was after seven days that the bride’s family comprising of her paternal aunt and sisters came to pay them a visit which is referred to as okuzza omuzigo /okuggya omugole mu kisenge (getting the couple out of the bedroom). The team from the bride’s home came along with everything they needed to cook for the couple and did not have to use anything from the groom’s home. Plus, they carried along gifts like a goat, hen, matooke, mats, and a winnower. 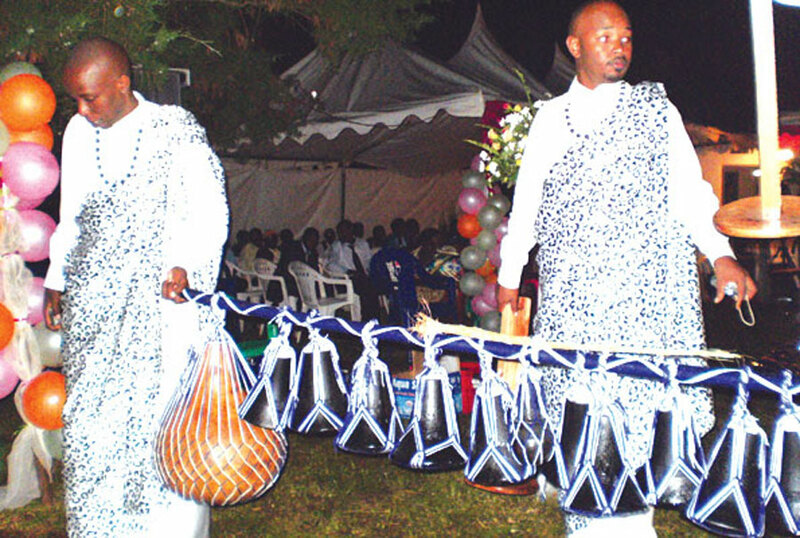 Winnie Ainebyoona, a middle aged graphics designer from Ntungamo narrates that in the past, the Ankole bride was to stay indoors for about six months according to culture. “After the traditional wedding, a relative was assigned the task of escorting her to the new home, and after five days she had to leave her in the hands of her in-laws,” she explains. 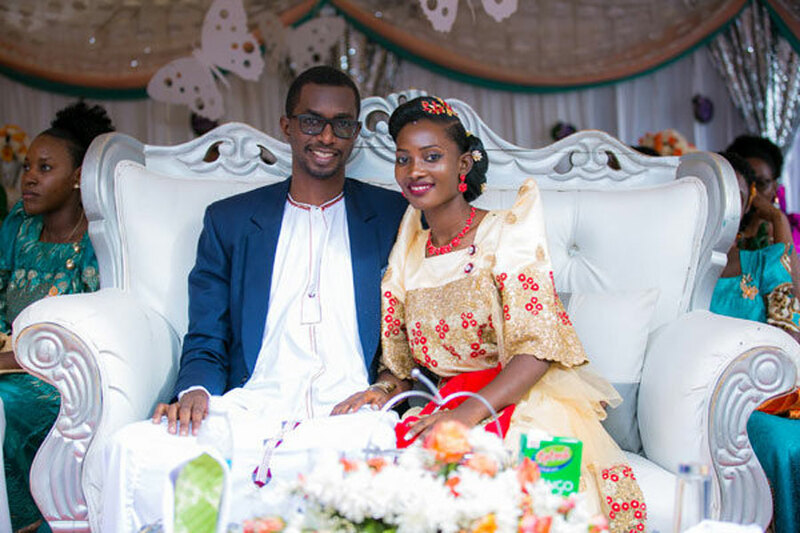 According to Ainebyoona, during the honeymoon, the bride was fed on a milk diet and also bathed separately from other people from a special place called omu’rukukuru, a fenced off area where she was given a steam bath with scented herbs. After, they had to apply scented ghee, obutahe, on her to make her skin smooth. During this period, her husband’s relatives also come along with gifts to introduce themselves and also to become acquainted with her. “Since the months were long, in order to kill the boredom, the bride spent her time weaving baskets, making ghee and with some other light chores while her husband went on with his day-to-day duties and only came back in the evening to fulfill his marital obligations,” Ainebyoona reveals. An Ankole bride remained covered for six months. “In all those months the bride remained veiled even before her husband and it was only after an event called kutatsya ekiihara, that she was unveiled and her husband got to see her properly, even though he could have seen her while they slept at night,” Ainebyoona says. She also adds that the title of “a bride” would be dropped and she was expected to start carrying out her normal marital chores, which had been previously done by her female in-laws. In contrast with Buganda and Ankole where the bride spent her first days feeding well, relaxing and making love with her husband, in Teso, a bride was engaged in doing house chores for her in-laws in order to prove she was fit for the marriage, Jane Abejja, a 56-year-old woman from Ngora District reveals. Abejja explains that the bride first stayed at her mother-in-law’s home where she was expected to wake up early in the morning to go fetch water and prepare breakfast before heading to the garden. And then, in the afternoon had to come back to prepare lunch and supper in the evening. “Also, the sisters-in-law or other older relatives like aunts or grand parents could request her to do house chores for them and at least give a gift after, in appreciation. These gifts included groundnuts, millet, sorghum, maize, etc, which she took to her marital home,” she narrates. Abejja reveals that the honeymoon period lasted for four to six months depending on how she related with her mother-in-law. “A honeymoon that ended prematurely could be because the mother-in-law was quarrelsome and disrespectful which forced the wife to become independent even after a month,” she explains. Abejja adds that apart from house chores, the wife also went visiting with her husband to meet his relatives, learn about their taboos and other practices. “The honeymoon ended when the wife left her mother-in-law’s home with enough items given to her as appreciation presents to stock her own kitchen,” she mentions. Lakeri Paska, a retired teacher explains that in Acholi, after the marriage celebration, the bride would remain at home for about two or three days to be prepared by her mother, sisters and aunts for marriage. “As she left, her mother would pack for her kitchenware that she would use to cook at her husband’s home,” she says. “Then the bride was escorted by her sisters to her new home where they found further celebrations at the groom’s home to welcome the new bride,” she adds. According to Paska, in a ceremony known as kiyalo to mean appreciation, the bride’s sisters had to help her make a meal for her in-laws so that they taste her food. And eventually the bride’s sisters and in-laws left in order for the new bride to take up her wifely roles in her new home. She mentions that in the past the sons’ built their huts near their parents’ compound and so the bride could easily juggle between doing house chores at her marital home and those for the mother-in-law.